Help keep trash out of San Francisco Bay on Coastal Cleanup Day, Saturday, September 15. Volunteer with Baykeeper at India Basin in San Francisco to remove trash from the Bay shoreline. Or choose among lots of other cleanups around the Bay, and pitch in to help keep the Bay clean. 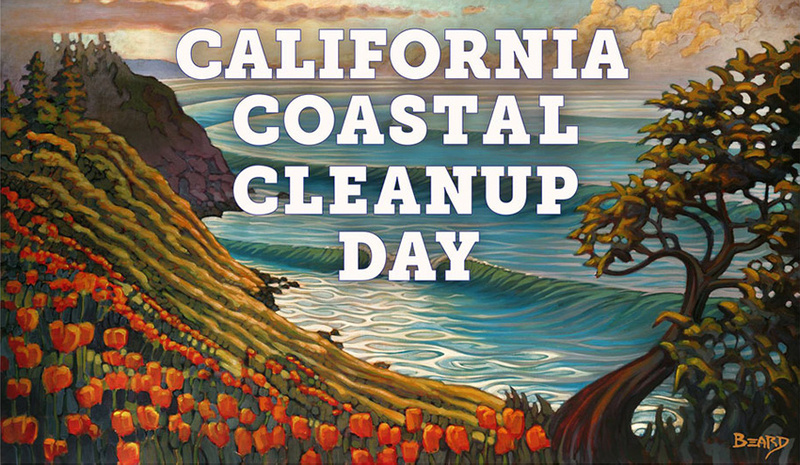 Coastal Cleanup Day is part of the world's biggest environmental cleanup. Before winter rains start, it's critical to clear shorelines of trash, plastic, and other waste to prevent it from getting washed into the Bay. All Coastal Cleanup Day events are on Saturday, September 15, 9am to noon. The cleanups are free and family friendly, with all ages welcome. Join Baykeeper at India Basin Shoreline Park in San Francisco. We'll be cleaning up trash that disproportionately affects communities along San Francisco's eastern shoreline (map). Advance registration is appreciated. Or, choose from more than 100 cleanups scheduled along the Bay shoreline, plus dozens more along creeks that flow to the Bay. There’s sure to be one near you. Learn more and register for Baykeeper's cleanup at India Basin Shoreline Park. 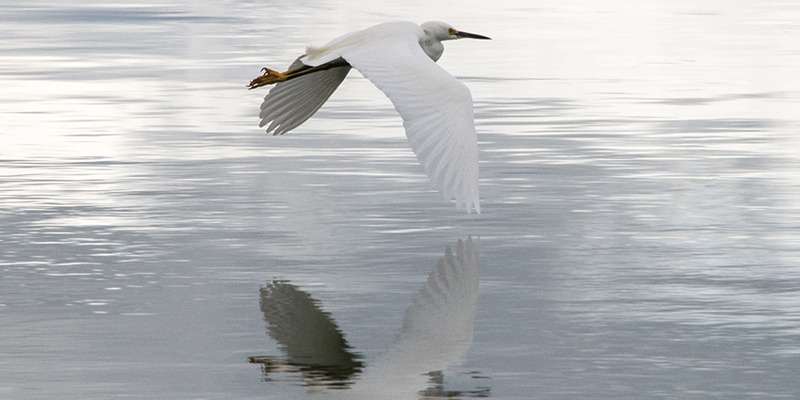 Baykeeper has been advocating for an increase in the fresh water flowing into San Francisco Bay to improve the health of the ecosystem. 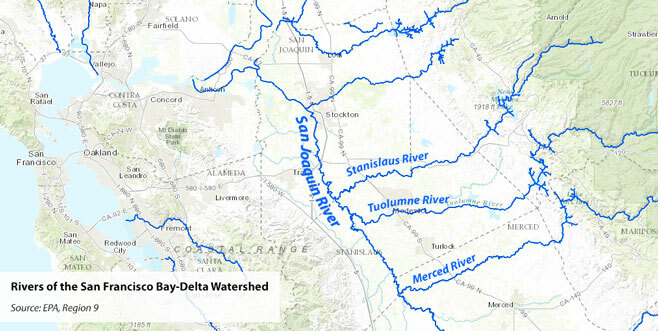 Now there is new opposition from the federal government to increasing flows from the San Joaquin River, which would replenish the Delta and Bay. Currently, so much water is diverted that river flows are sometimes as low as 5% of natural levels—pushing fisheries and aquatic ecosystems in the Bay-Delta to the brink of collapse. Baykeeper supports measures to protect the water supply so California doesn't have to divert so much water for cities and farms. By fixing leaking pipes, increasing water recycling, and improving water conservation, we'll have more water for both people and the environment. Read more about river flows to the Bay-Delta Estuary. Do you know what Bay animal resembles both an eagle and a trash compactor? Bat rays are best known for their wide, bat-like "wings" (actually pectoral fins) that make them elegant swimmers. They're a kind of eagle ray, and they'll sometimes even pop up to the water's surface to coast in the air. And instead of teeth, bat rays have two fused grinding plates for crushing rigid prey, sort of like a trash compactor. They hunt clams, crabs, worms, and whatever else they find on the Bay's floor. Like all of the Bay's creatures, bat rays are vulnerable to changes in their environment. Last spring, many bat rays and leopard sharks were fatally infected with a mysterious brain pathogen in the South Bay. The source is still unknown, but scientists suspect that contaminated runoff and low salinity levels made the animals vulnerable to disease. Baykeeper targets pollution at the source so it doesn't end up in the Bay—for the health of bat rays and thousands of other aquatic creatures. Learn more about Bay bat rays. From her bicycle atop Mt. Tamalpais or along Oakland's Skyline Boulevard, Jovita Pajarillo experiences San Francisco Bay in her favorite way: taking in the expansive views of the entire landscape. "San Francisco Bay is very personal for me. It's home," Jovita says. Her decades-long career as a Water Division manager with the U.S. Environmental Protection Agency (EPA) involved a lot of travel, "and as the plane flew over the Bay before landing at the Oakland or San Francisco airports, I always felt welcomed home." As a member of the Baykeeper Board of Directors, Jovita has been the co-organizer of two Baykeeper Water Forum events. Both featured policy leaders discussing how broad policy issues around California water—such as drought, river flows, and cutbacks in federal protections—impact San Francisco Bay. Jovita joined the Baykeeper Board shortly after her retirement from the EPA. She was looking for meaningful volunteer work that was local and pollution-focused, where she could put her decades of water policy experience to good use. She discovered San Francisco Baykeeper, which she describes as a "determined and scrappy nonprofit" that champions the Bay using law and policy. Jovita has been helping us defend the Bay ever since! Read more about Jovita's work on the Baykeeper Board of Directors. What you wash off in the shower or sink ends up in your local wastewater treatment system, which discharges into San Francisco Bay. Unfortunately, many chemicals in personal care products and household cleaners aren't completely removed during the treatment process and end up polluting the Bay. One such chemical is triclosan. Triclosan is an antibacterial agent that is toxic to aquatic life and linked to serious human health problems. Research has shown that it is a hormone disrupter, likely harmful to the immune system, and may contribute to antibiotic resistance. And, triclosan isn’t even particularly effective; the Food & Drug Administration (FDA) found that triclosan-containing antibacterial soaps are no better at killing bacteria than plain soap and water. The FDA recently started requiring manufacturers to remove triclosan from soaps and hand sanitizers, but it remains a common ingredient in toothpaste, detergents, and even household products like yoga mats and toys. Check the labels of personal care products like toothpaste and deodorant, and household products with anti-bacterial coating, and opt for versions that don’t contain triclosan. Doing so will help keep our homes, bodies, and Bay healthy! Click here for more everyday healthy Bay tips. On September 22, Swim Across America presents its annual San Francisco Bay open water swim to benefit cancer research and patient recovery at UCSF Benioff Children's Hospitals in San Francisco and Oakland. The Baykeeper boat will provide safety support for this event. We're proud to support Bay swimmers in their efforts to fight cancer! The Swim Across America event is seeking volunteer paddlers to assist with swimmer support. 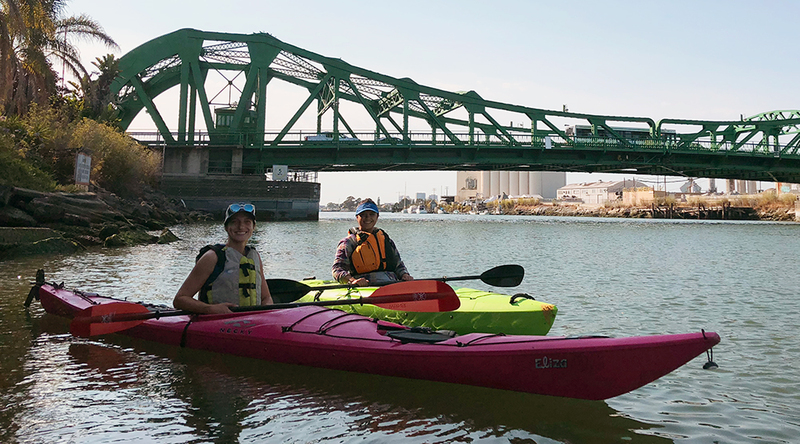 Kayakers and rowers are invited to help make the event fun and safe for all. For details, please visit the Swim Across America's SF Bay swim web page.